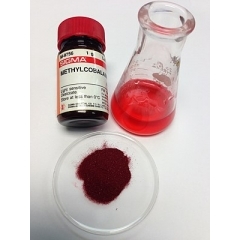 Buy Mecobalamin CAS No 13422-55-4, a chemical intermediate for pharmaceutical uses from TNJ Chemical, China leading Mecobalamin suppliers, factory & manufacturers. 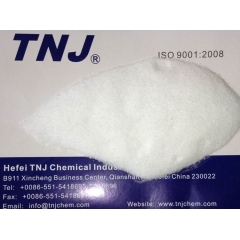 If you want to buy Mecobalamin, please mail to sales@tnjchem.com. 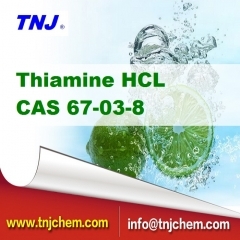 Where to buy Vitamin B6(Pyridoxine Hydrochloride) CAS 58-56-0 at best price, buy Vitamin B6(Pyridoxine Hydrochloride) from China leading suppliers,factory and manufacturers etc. 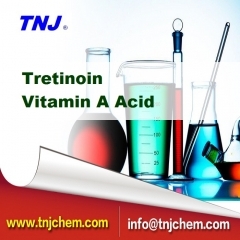 If you buy Vitamin B6(Pyridoxine Hydrochloride), please feel free to contact TNJ Chemical, the most professional Vitamin B6(Pyridoxine Hydrochloride) factory suppliers in China. 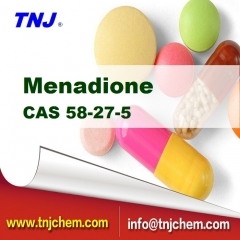 Menadione CAS 58-27-5 (also know as Vitamin K3), is a fat-soluble vitamin manufactured through chemical synthesis, available as Yellowish crystalline powder. Menadione is widely used as nutritional supplements. Menadione is Soluble in ethanol (16 mg/ml), chloroform (100 mg/ml), ether, carbon disulfide, oil, DMSO (1 mg/ml), and carbon tetrachloride (slightly soluble). Insoluble in water. 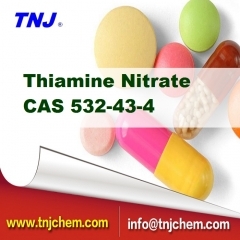 Nicotinamide CAS 98-92-0 is a water-soluble vitamin and is part of the vitamin B group. Nicotinic acid, also known as niacin, is converted to nicotinamide in vivo, and, though the two are identical in their vitamin functions, nicotinamide does not have the same pharmacological and toxic effects of niacin. 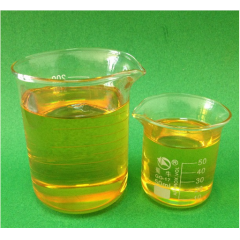 Vitamin E oil a-Tocopherol CAS 10191-41-0 is one such naturally-ooccurring oil, which is soluble in lipid and is non-enzymatic. It acts as an antioxidant, and prevents the formation of free radicals on the skin cells. It also has anti-inflammatory properties. It is a popular myth that antioxidants can be used in place of preservatives in recipes that require a preservative. Ascorbic acid CAS 50-81-7 or Vitamin C, L-ascorbic acid, is an essential nutrient for humans and certain other animal species. Ascorbic acid is a naturally ooccurring organic compound with antioxidant properties. It is a white solid and dissolves well in water to give mildly acidic solutions. Because it is derived from glucose, many animals are able to produce it, but humans require it as part of their nutrition.